Along with Kartik, the film also features Bhumi Pednekar and Ananya Panday. 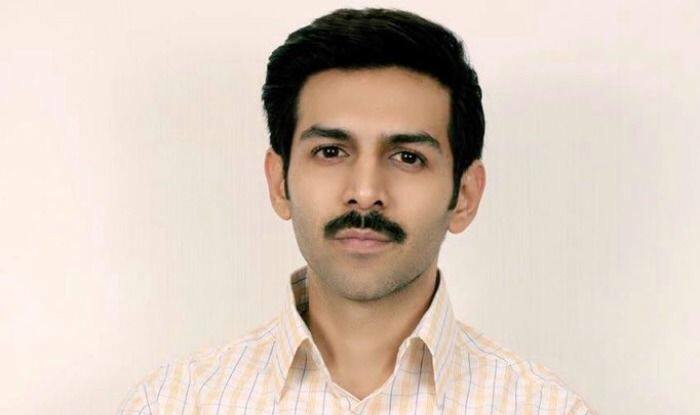 After starting the shoot for Pati Patni Aur Woh, actor Kartik Aaryan has shared his first look from the film. He sported a moustache and looked totally different from the characters that he played in the past. He introduced himself as Chintu Tyagi from Lucknow. He is ‘samarpit’ and ‘Aashiq Mijaaz’ in his own words. His look will remind you of Shah Rukh Khan from Rab Ne Bana Di Jodi. The actor will be seen sharing the screen space with Bhumi Pednekar and Ananya Panday in the movie. The movie is directed by Mudassar Aziz. It is the remake of a hit Bollywood film with the same title. A couple of days back, we spotted Kartik hiding his face when he went out with Ananya. It was probably his move to hide his look. Well, it will be interesting to see the actor in a totally different avatar. On a related note, Kartik is gearing up for the release of Luka Chuppi with Kriti Sanon. The movie is all set to hit the screens on March 1.